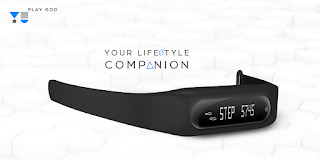 YuFit and HealthYu : Yu's two new fitness trackers ! Well, Smartphone market got a near uplift, since the introduction of iPhone in 2007 which completely changed the way we use smartphones ! Since then smartphone manufacturers are striving hard to be in this phone market, bringing in top notch high end hardware with seeming software, well for Apple it goes iOS and for the rest, Android !. Thus every year or so there is a refresh done by the company with their perspective device, that's it ! But since the introduction of Android Wear last year, Smartwatch market is catching every smartphone vender's eye, since every company is looking for newer products ! since this is the place where a company can bring its frankenstein beast of a smartwatch and completely change the smartwatch game, as Apple did in 2007 in the case of iPhone. Apple watch was also introduced last year but it still hasn't caught attention of many due to its pricing! There's a lot of room for improvement needed here. Smartwatch also kind off lifted up the smartband game, which was already available by brands like Nike etc, but priced a bit high. Miband was recently launched by MI at a staggering price of Rs.999 only at their launch event in New delhi, India. At a recent launch event by Yu televentures(company by micromax), Yu launched it's latest affordable smartphone: Yuphoria ,also did they launched 2 completely new products ever from an Indian Company : YuFit (fitness band) and HealthFit (fitness gadget). fitness trackers from an indian company completely define how much potential this smartband market has to offer ! So what's this YuFit ? you access to your calories intake based on its database by uploading the photo to the YuFit app made for band in specific. notifications about the incoming calls and messages. It has a AMOLED display which makes this band, better bang for your bucks! , Another of it's striking feature is that, it's waterproof ! Well with these many features it is priced just at Rs.999 (16$ approx). YU will let the first 1000 users be with a free personal classified trainer which will take you through with your health issues. Ok Now, what's Health-Yu ? Health Yu is fitness oriented smartphone accessory that can be snapped at the back of your phone as a case, which then can be used to take care of things like figuring out your heart rate, skin temperature, ECG ,blood oxygen levels etc. The customers can share their fit data with their family which can be synced to the cloud. 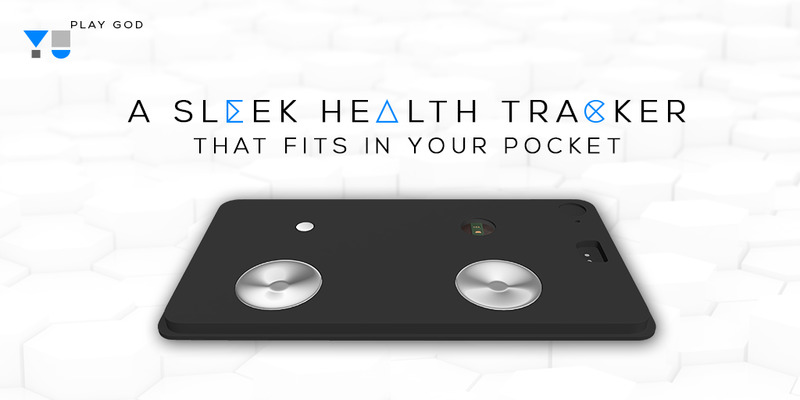 This device is pocket friendly and can be snapped at the back of your phone to track your data on the fly, it is priced at about Rs.4,999 ( 79$ approx). Both of these devices are a must for all fitness junkies out there, well if you are into this kinda stuff !Health Yu is definitely a new product to see coming from an Indian company !
" YuFit priced at just INR 999 and HealthYu at a staggering INR 4999 only! Available for purchase next month, stay tuned! #Yuphoria "
Also did they unveiled Yuphoria, their latest affordable smartphone at just Rs.6999. Let's see how do this three products let them be in the game ! Also see : Yuphoria, best affordable smartphone #period !